French bakery Amantee (2240/12-13 Chan Kao Rd., 02-678-1300) services a who’s who of Bangkok cafes with its beautiful baguettes (B85) and buttery croissants (B55). Pretty in pastel pink, Wondering Bakeshop (238/2 Nanglinchee Rd., 062-624-6156) offers a chic place to while away the hours with a Viennese coffee cake (B155). 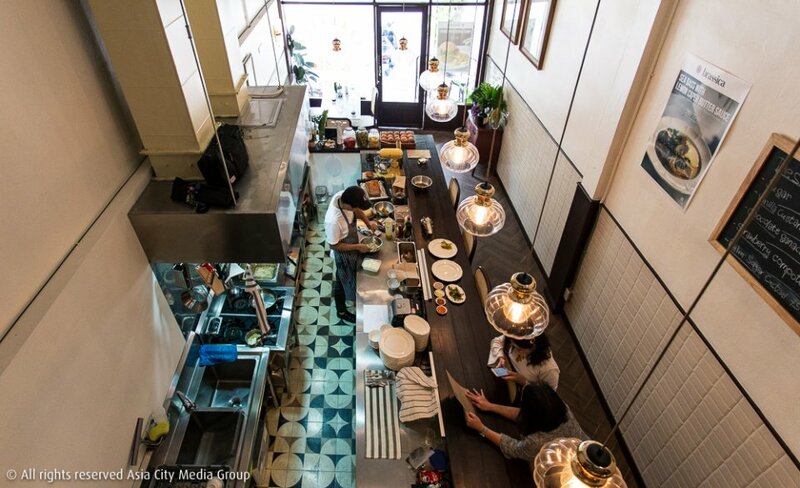 The freshly refurbed Market Place Nanglinchee mall (Nanglinchee Soi 3) is home to the ever-popular Greyhound Cafe and the second coming of Phrom Phong’s brunch king, Bangkok Trading Post. Nanglinchee is now a dining hub. 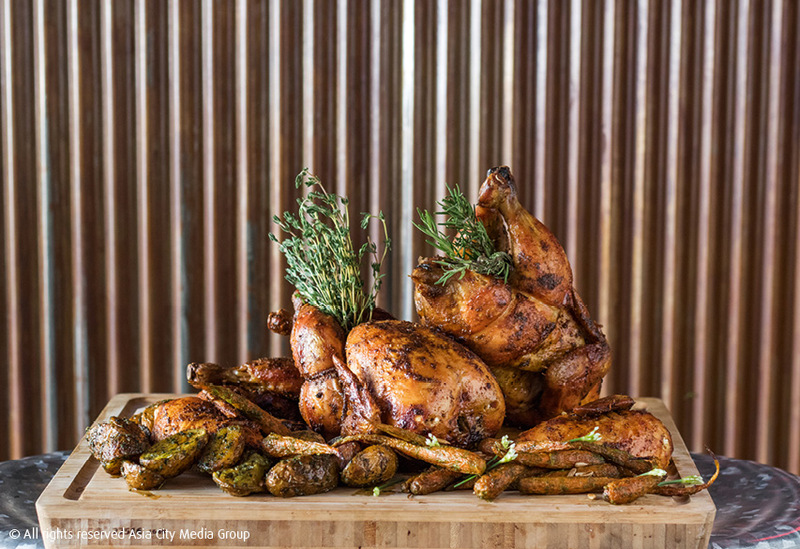 Birds (Soi Amon, 095-594-6675) doles out rotisserie-roasted, locally reared chicken—always perfectly moist and soft. Newcomer Brassica (76/10 Nanglinchee Rd., 093-596-2465) stakes its name on chicken of the juicy fried variety (from B260) and doughnuts (B75). Street food abounds (particularly near the corner of Chan Kao Road). Our pick: Too Gub Khao Khong Mae (43 Nanglinchee Rd., 089-900-3890), where southern transplant Alex Sutcharit ladles heavily spiced curries onto GMO-free jasberry rice. Market Place is home to reliable Thai chain Ros’niyom and sister Isaan joint Crying Tiger, as well as the health-focused Gardennia (095-438-9483). After a big night, there’s nothing like cowering in your own little cubicle of shame at the 24-hour A Ramen (2/F, TTN Avenue, 88 Nanglinchee Rd., 097-218-8477). Fine-dining royalty Suhring (Yen Akat Soi 3) and Sensi (Narathiwas Soi 17) are also in reach. 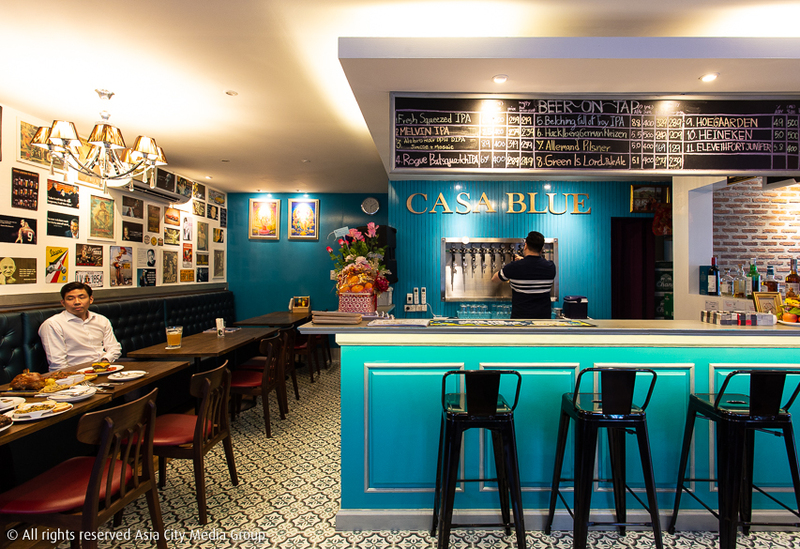 Nothing matches the hedonism of nearby Smalls (Suan Phlu) or Cactus (Yen Akat), but the very lively Casa Blue (TTN Avenue, 065-594-4555) serves rotating craft beers and hefty burgers from its bright blue shop. The Factory (TTN Avenue, 094-953-5441) is the low-rent neighbor made for Leo towers, spicy gab glaem and live football, while Vino by Zanotti (399 Nanglinchee Rd., 02-678-0577) is a wine and “Italian tapas” bar boasting nightly live jazz and a sprawling lawn. Perhaps the most exciting new arrival is Happy Drinks (76/9 Nanglinchee Rd., 098-463-6141), an indie bottle shop stocking biodynamic wines and whiskeys. To reach the BTS you face either a B15 ride on the BRT to Chong Nonsi or a B40 motocy to Sala Daeng. The charmingly old-school KC Court 2 (1755/6 Chan Kao Rd., 02-678-8670) starts from B9,000/month for a 36-sq-meter one-bedroom. You might pay B25,000 for a 96-sq-meter two-bedroom apartment at The Executive Regent (238 Nanglinchee Rd., 02-678-0523). You’re looking at upwards of B40,000 for apartments in Parco (88/4 Nanglinchee Rd., 02-678-7667) or Palm Estates (3 Nanglinchee Soi 4). Dream homes in the backstreets very occasionally go for B20,000/month and up. 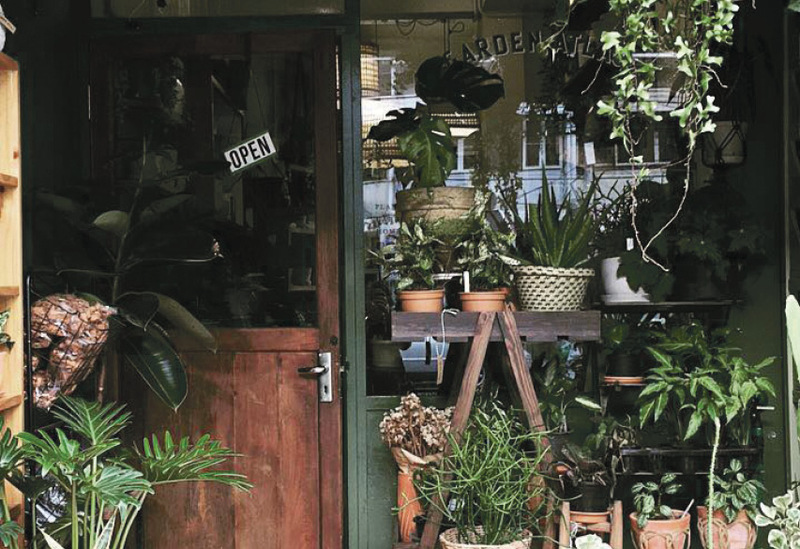 Garden Atlas (95/14 Nanglinchee Rd., 097-246-547) looks torn from the pages of Kinfolk and sells small plants and pottery. 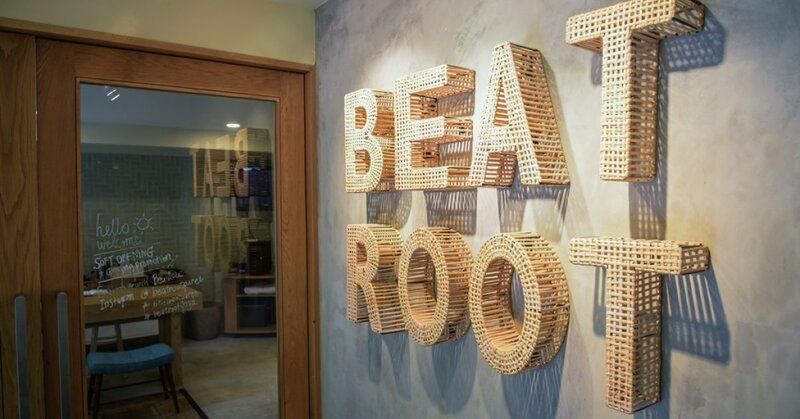 Get your pampering fix at Darin Spa (Nanglinchee Rd., 081-899-6854) or Beatroot (1747/9 Chan Kao Rd., 081-833-4554), a charming three-story complex that offers workout classes (from B600) as well as spa packages. Sweat out your excesses at Absolute You or Anytime Fitness (both Market Place Nanglinchee). Tops at Market Place covers your grocery needs. What’s your hack for making life in Nanglinchee even more awesome?